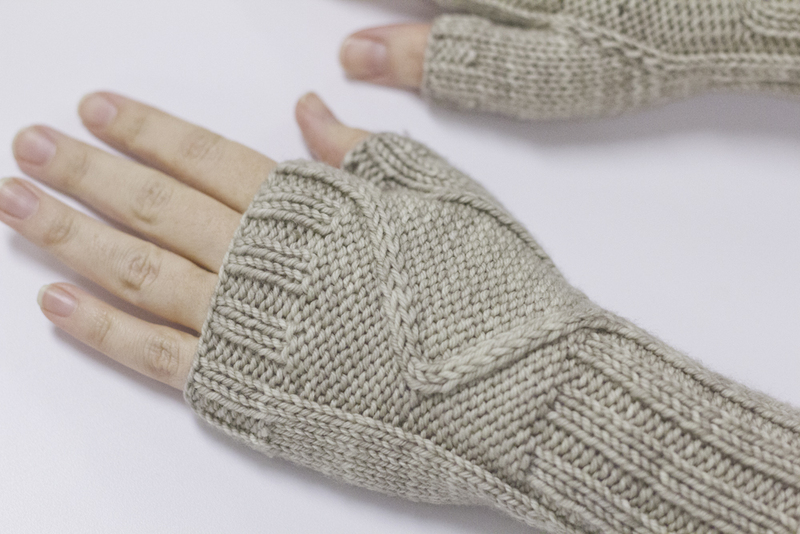 I’m excited to announce that my Wayfinder Mitts knitting pattern is now available as a Ravelry download. 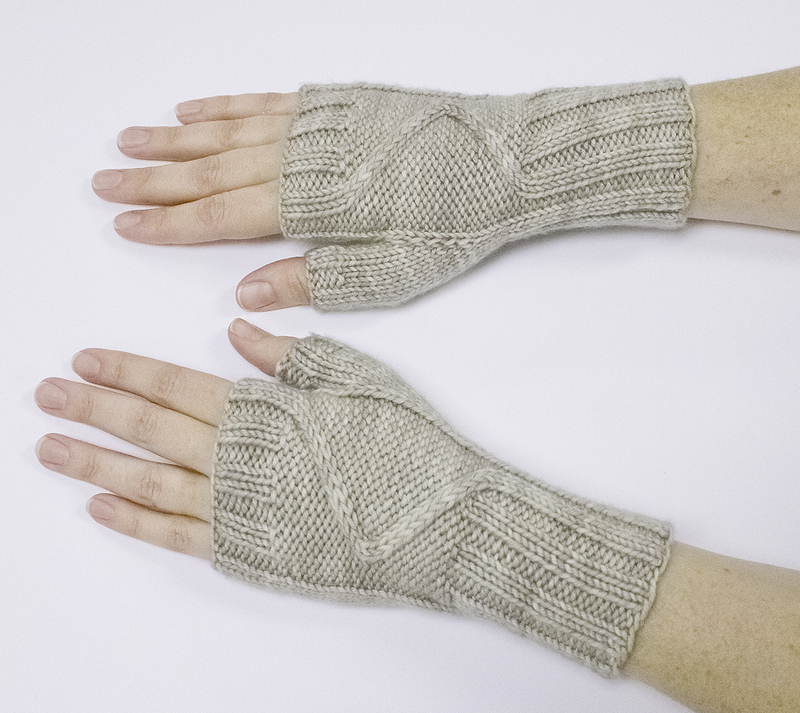 Worked in Madelinetosh DK, each Wayfinder Mitt is cast on at the bottom edge and knit in the round. The top and bottom cuffs are worked in 2×2 rib, which stretches nicely to fit the wearer. The directional cables flow out of the ribbed cuff and are mirrored on the back of each hand. 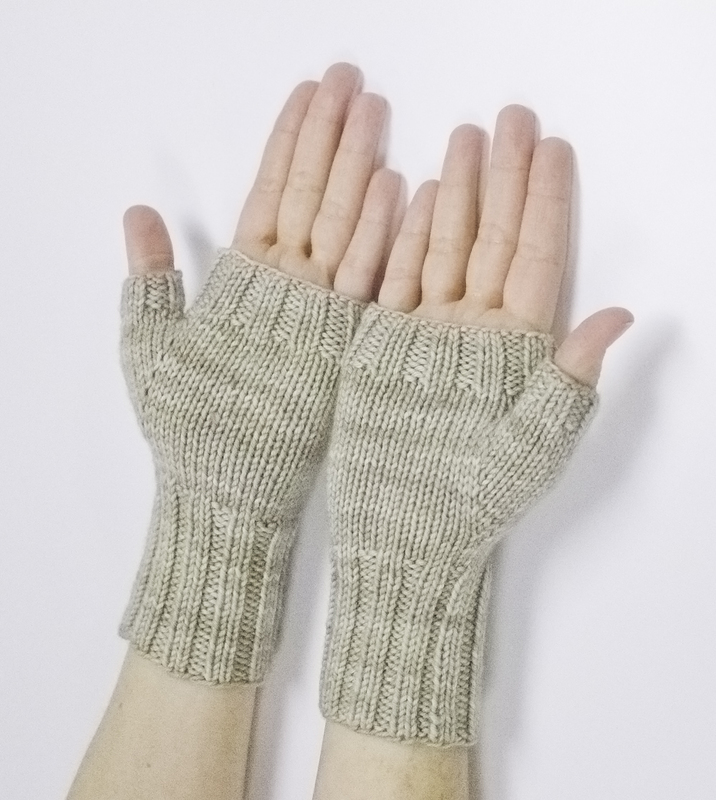 Thumb gussets are created by increases placed at the side of each mitt; after increasing, thumb stitches are placed on waste yarn and later picked up and worked in the round. Instructions are provided as both charted and written. Sample shown in Madelinetosh Tosh DK (100% superwash merino wool; 225 yards/206 meters/100 g) in the Antique Lace colorway on hands measuring 7.5″/19 cm in circumference. 8”/20.5 cm long by 7”/17.75 cm in circumference (unstretched) to fit hands measuring 6.5″/16.5 cm to 8″/20.25 cm in circumference. Visit the Ravelry pattern page here or buy now. I’ve been keeping my knitting a little behind-the-scenes lately. The truth is, I’m planning a collection of knitting patterns and I don’t want to give all my secrets away before its even finished, but today I have a little peek at something I wanted to share. This cuff has been a little bit of a learning process for me over the past few months. 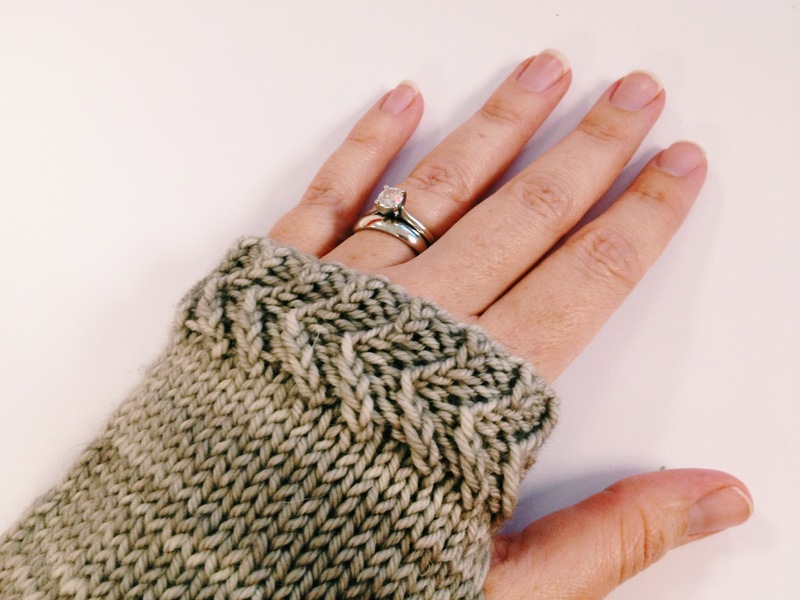 It all started out with a pretty basic idea for a pair of fingerless mitts with 1×1 twisted ribbing. 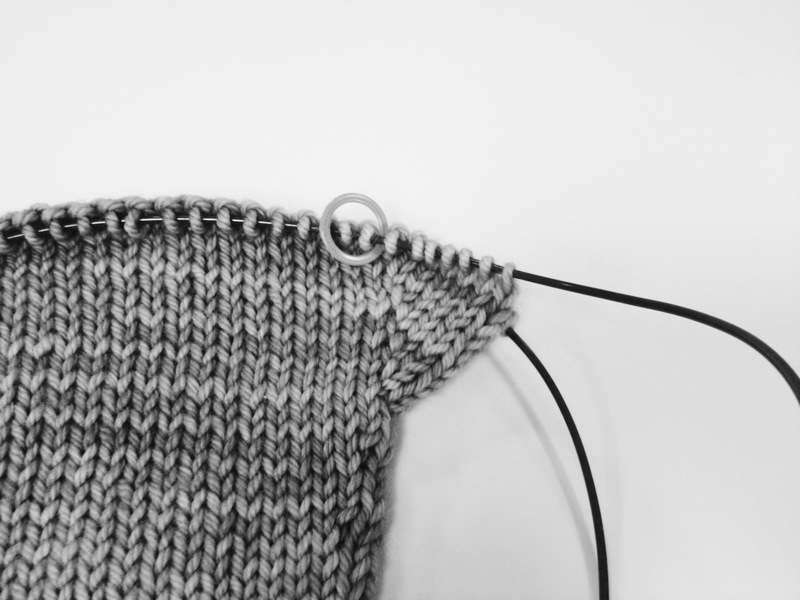 Twisted ribbing is one of my favorite cuff/hem treatments, as I think it looks much neater than regular 1×1 ribbing. I started out working the mitt idea that was in my head and halfway through I ripped it back, knowing that I wanted to revise my stitch counts, but also because I became convinced that my design needed a little reworking. The idea was super cute but also super simple, and didn’t have enough “wow” factor that I felt it would entice people to purchase the pattern. I needed to add an extra little kick to the design, so I started playing around with traveling twisted stitches and came out with the cuff you see above. In the end, this version of the mitt has been scrapped for with something totally different that I think works better, but I’m still in love with these traveling twisted stitches. 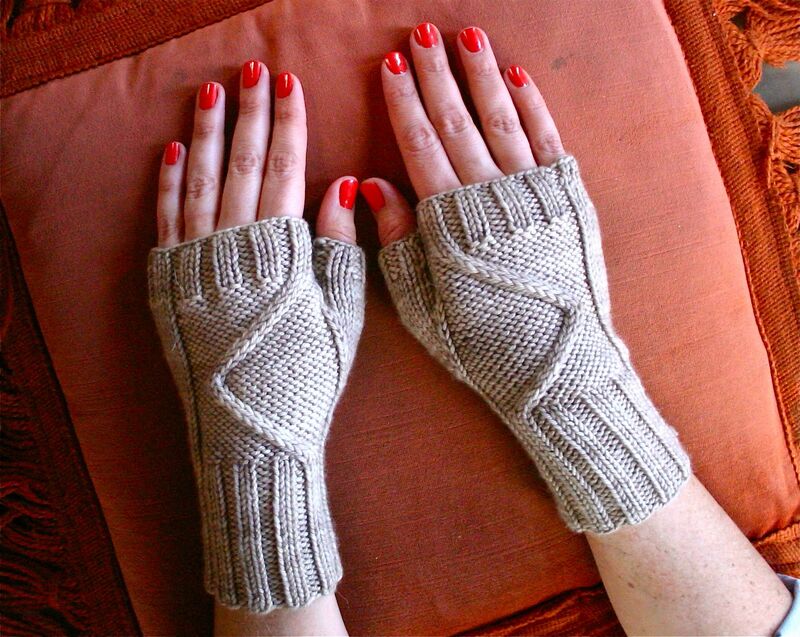 I’m pretty sure this idea will work itself into another design soon, though maybe not on a pair of fingerless mitts. 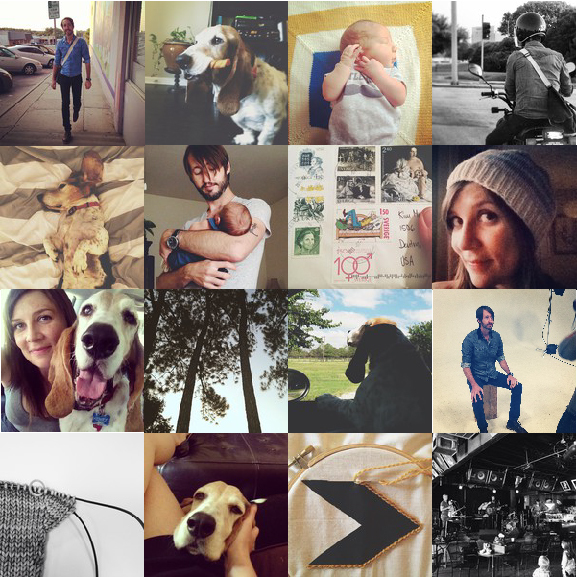 July brought the birth of our nephew Healy, who was promptly snuggled in a handknit wool blankie and has been bringing us all love and happiness nonstop ever since. 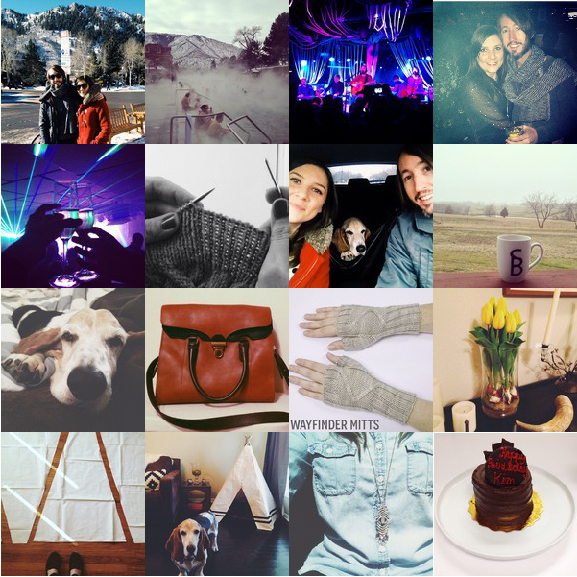 I’ve also been spending lots of time with Joey as he gets ready to start touring with Midlake again soon. There have been lots of stolen moments between his rehearsals and my work schedule to get in as much time together as we can before he leaves. I was able to catch one of their production rehearsals the other day and I was blown away… I welled up with emotion and pride at how beautiful everything sounds and how hard these guys have been working to get this album to fruition, and its almost time! There’s even been a little bit of knitting and crafting in the wee hours before I go to sleep. I have some secret knitty-type things I’m planning that I’m super excited about but I just need to find a little more time to get them going. And of course I can always count on Henry’s silly antics. He’s such a ridiculously sweet and goofy dog and he just makes us laugh and smile every single day.